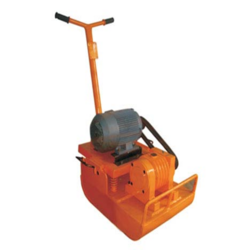 Supplier & Distributor of Earth Compactor. Our product range also comprises of Concrete Mixer Machines, Concrete Mixers and Cement Concrete Mixer. We are looking for queries for Construction Equipments from Tamil Nadu, Kerala, Karnataka & Andhra Pradesh. 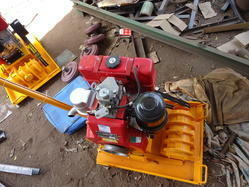 Earth Compactor solutions offered comprise power generated by 4.4 HP Diesel Engine with plate size of 500 x 600 x 16 mm. These compactors are useful devices for compaction after filling durum and are designed & developed so as to deliver efficient performance under tough working conditions. With their suitability lying in compaction of industrial concrete flooring as well as in pavement block laying, these are designed to deliver repetitive impacts on soil/sand so as to achieve desired compaction. Looking for Earth Compactor ?